Tata Motors has announced that the company will increase the prices of its entire range of passenger vehicles by up to Rs 60,000. The exact increase in price will differ depending on the model. This announcement for a hike in the model prices will come into effect from April 1, 2018, the company stated. Company officials have attributed the hike to rising input costs. Tata Motors president of passenger vehicles business, Mayank Pareek elaborated, stating that rising input costs, changing market conditions, and various external economic factors have compelled the company to consider the price increase. "But we are optimistic on maintaining our growth trajectory in the coming year on the back of our robust product portfolio," Pareek added. Tata Motors had also made a similar announcement of increasing prices by up to Rs 25,000 in January 2018. Currently, Tata's model lineup in the country consists of the Nano, Bolt, Tiago, Tigor, Zest, Nexon, Safari Storme, and Hexa SUV. 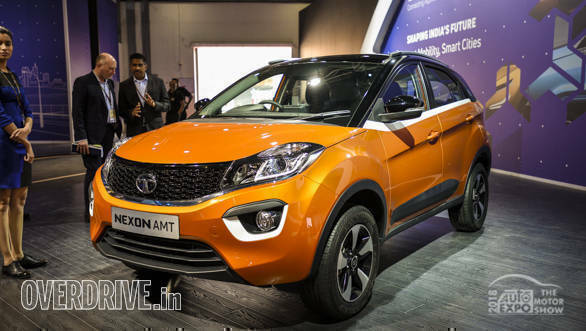 Tata is also expected to launch the Tata Nexon AMT sometime this year. Tata Motors also has an eye on the future with the number and variety of concepts it has showcased at auto shows including the 2018 Auto Expo and the Geneva Motor Show 2018, where it showed the H5X, and 45X concepts and also unveiled the also unveiled the Evision sedan concept, as well as electric versions of its India cars. Earlier this month, Tata had also launched the Zest Premio edition to mark 85,000 unit sales of the Tata Zest sedan.